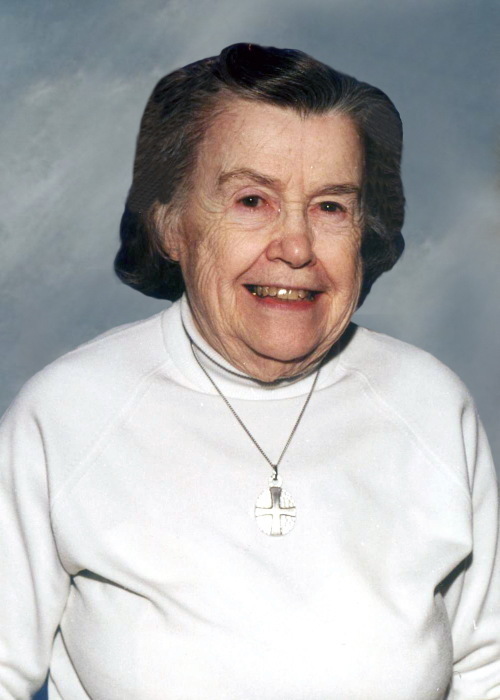 Sr. Margaret Gargan, FMM of Ein Karim community, North Smithfield, died on February 4, 2019 at St. Antoine Residence. Sr. Margaret was born in Brighton, Massachusetts on December 24, 1919. Margaret entered the FMM in Fruit Hill, N. Providence, RI on September 15, 1952. Prior to her entrance, Margaret attended Emmanuel College, Boston and graduated in 1941 with a BS in Science. She entered the novitiate, March 19, 1953, made First Vows in June 13, 1955 and Final Vows, also June 13 in 1958. In 1957 while Director of Social Work at Divine Providence Shelter, NYC, Margaret’s first mission, Margaret studied Psychiatric Social Work and obtained a Masters’ Degree in 1957. She held the position of Director until 1961. After that, Margaret was missioned to be Superior of another community in NYC and then back to the role of Superior and Administrator of Divine Providence Shelter for Children, in 1967. October Remembrance Alone in the velvet night, a man prays. Arms outstretched, he reaches up silently and draws down heaven itself. Draws the Heart of Christ into his own, draws the wounds of Christ into his flesh,To seal him with the pains of Christ, to flood his heart with the love of Christ. This love and joy overflowed into the Soul of the world in power and glory, no one can envision. This man, a living Crucifix was St. Francis, who reached out to all near or far, singing his ecstatic song over the corridors of time, GOD IS LOVE! Sister’s funeral will be held on Tuesday, February 12, 2019 at 11:00 am in Holy Family Chapel, 399 Fruit Hill Avenue, North Providence, RI 02911. Visiting hours will be held in the same Chapel on Monday, February 11, 2019 from 4 to 8 pm, with a wake service beginning at 7 pm.